This is new stack match with 3 outputs. It can be use as a power divider for more PAs driving, also for antenna stacking or multibeaming systems. Single or multi band antennas could be stacked. There are three versions: LP, MP ang HP for diferent power handling. 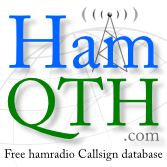 Measurements could be found at RemoteQTH.com web page. Letos jsme se poprvé zúčastnili ARRL DX contestu v kategorii Multi / Multi. Byla to zajímavá zkouška techniky a také nových operátorů. Až na drobné problémy to byl pohodový závod. 40m and nice on 20m,15m and 10m, where he WAS completed after 4 hours, hi. Jan OK2ZAW again done an excellent job and ALL the equipment worked perfectly. Anyway, wonderful contest, thanks for all QSOs and new national record. See you in SSB !